The University of Bristol is partnering with property developers to create more employment and research on a major high-profile development site alongside its planned Temple Quarter Enterprise Campus. The new scheme forms part of a major new project on a derelict site off Silverthorne Lane on the northern bank of the Feeder Canal within the Temple Quarter Enterprise Zone. The mixed-use regeneration plan includes the site for the new Oasis Academy Temple Quarter, a 1,600-place secondary school to serve central and eastern Bristol, as well as 400 new homes, including affordable housing, and apartments to house around 750 students. New employment space is also proposed for part of the site with the university saying its commitment offers the potential for additional employment and research and learning opportunities. 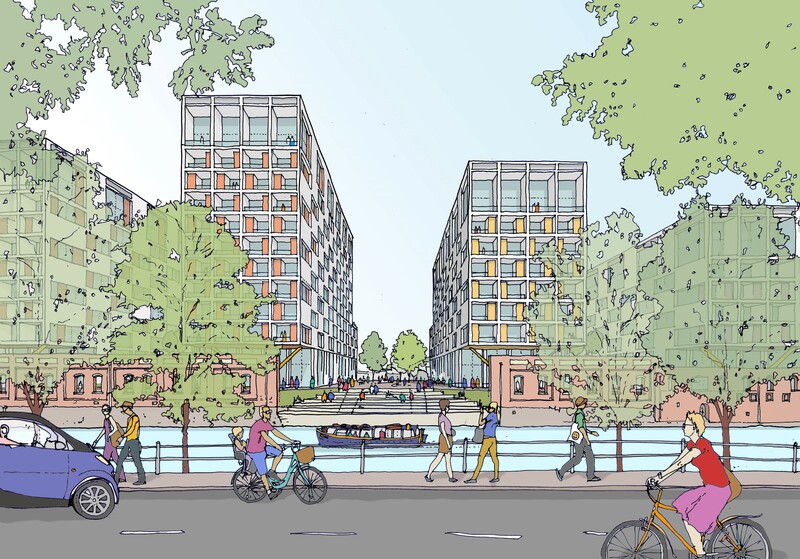 The scheme has been drawn up by Feeder Estates, a new partnership managed by London-based developer Square Bay, which is preparing a planning application for brownfield site. The area is earmarked for a mixed-use development in Bristol City Council’s Vision for Temple Quarter Enterprise Zone. Square Bay already has extensive experience in Bristol, including the regeneration of Brandon Yard on Harbourside. Award-winning Bristol-based housebuilder Studio HIVE in partnership with Atlas Land are the residential development partners for the scheme. Studio HIVE managing director Jason Collard said “We are delighted to come on board with this project. 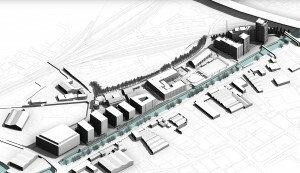 This is a fantastic opportunity to transform the eastern gateway to the city centre, providing an inspiring place for people to live, a stone’s throw from the city’s main transport hub and the city centre beyond”. The purpose-built student accommodation will help relieve pressure on housing supply in the city. The student accommodation will be delivered by Future Generation, a specialist student accommodation developer with a number of student schemes operating in cities across the UK and Ireland. Square Bay managing director Markham Hanson said described the scheme as a fantastic regeneration opportunity for Bristol. “This represents a very significant investment in the city, cementing Bristol’s reputation as a city that is open for business,” he said. The university already plans to create what it is calling an “open and welcoming campus” on the adjacent seven-acre site, which spans the sorting office plot and part of neighbouring Temple Island – a separate part of which was once the planned site of Bristol’s long-delayed arena. It will provide teaching, research and innovation space for 800 staff and 3,000 students, with accommodation on site for up to 953 undergraduates and postgraduates, with public spaces on the campus including a new waterfront, cafes and shops along with new walking and cycling routes. The Silverthorne Lane development team has established a website www.silverthornelane.com to provide residents and businesses across the city with information about the emerging plans.